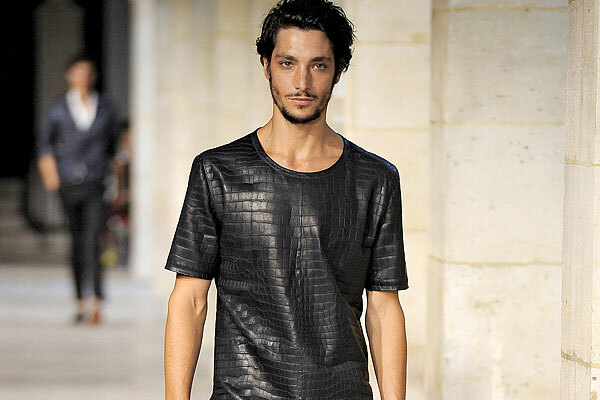 $91,500 T-Shirt made out of Crocodile skin & Chiffon. This is a ridiculous T-Shirt and Price Tag. Take a look at the source link and you’ll see. Whoever will buy that shirt and wear it, for sure he will be cursed (&*E&W*$*#&) because there are hungers around the world who only need $30 a month to survive. You wear that stupid shirt just to show off how much money you have and maybe if you’re in bad luck there will be some guys following you just to take off your shirt. DOn’t know what will happen o.o LoL. Money is made out of paper that’s why you use it to buy that ugly shirt while starvation is happening. Beside that, organizations have to go around to beg people donating money to sponsor the poor. I know if people have money they can do whatever they want, but buying the T-Shirt made out of slaughtering animal, that just isn’t right, and people will look at you and call you STUPID not admiring.